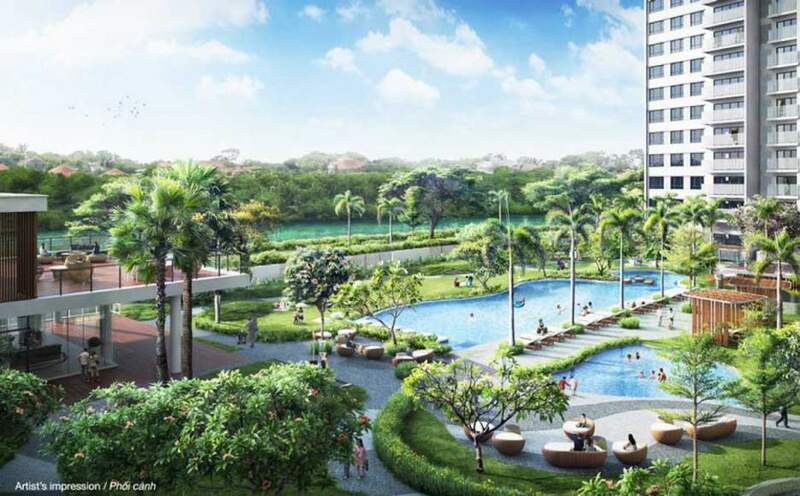 Palm City Keppel Land – Palm Residence urban area – Nam Rach Chiec urban area in District 2 is owned Keppel Land’s investor officially opened with many attractive offers. Palm City Apartments – After the success of the Empire City Thu Thiem, The Estella and Sai Gon Center projects, the joint venture among Kipper Land – Tran Thai – Tien Phuoc is preparing for the launch a super project in the east of Sai Gon is Palm City – Palm Residence – Palm Heights urban area belongs to Nam Rach Chiec urban area, District 2, Thanh Pho Ho Chi Minh. The Palm City Keppel Land super project in District 2 is part of an overall of Nam Rach Chiec urban area with a scale of up to 90 hectares, surrounding the project is benefiting from the Rach Chiec tributaries passing. Moreover, Nam Rach Chiec urban area is synchronously planned about infrastructure. The traffic lines are connected very convenient in the east and west of Sai Gon. Low-rise or Palm Residence: Scale of 3 hectares with 135 townhouses, 11 shophouses and 14 Palm City separate villas. High-rise or Palm Heights luxury apartment: Scale of 9.4 hectares with a total of more than 3,700 apartments. 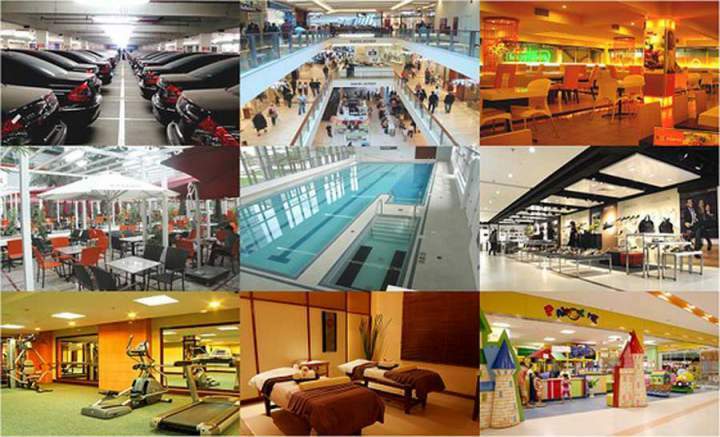 Commercial, service, shopping and entertainment center: It occupies 1.8 hectares. International school, education: It occupies 3 hectares. Nursing area, health care for residents: It occupies 1 hectare. Look on the sitemap and link the region, Palm City project is one of the rare projects that owns a prime location in the heart of Nam Rach Chiec urban area, District 2, Ho Chi Minh City. Palm City or Palm Residence project is located in front of the parallel road in An Phu Ward, District 2, from the Palm City Keppel Land project you can easily connect and move to the downtown area as well the provinces in the South East (Vung Tau, Binh Duong, Dong Nai ….) through the highway of Ho Chi Minh City – Long Thanh – Dau Giay. The Eastern of Palm Project: adjoin with resident, entertainment – cultural – entertainment area (30 hectares) of the 21st Century International Development Company. 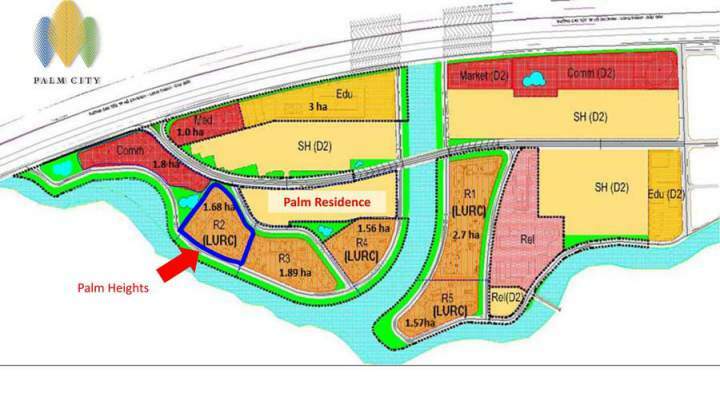 The Western of Palm Project: adjacent to An Phu intersection, District 2. The North of Palm Residence: adjacent to the highway “Ho Chi Minh City – Long Thanh – Dau Giay”. Especially since Palm City urban projects only takes less than 5 minutes you are the Thu Thiem new urban area, District 2. Thu Thiem urban area is being planned and developed into a center of finance – trade – services in Southeast Asia. As a high-end urban area, Palm City situated on a prime location in District 2 and like a paradise to live by a series of remarkable utility system, the combination of advanced services. At Palm City Keppel Land apartments, all the necessities of life are right in front of your door. Total number of apartments: 3,700 apartments. Palm City Keppel Land is one of the urban areas that own the golden position, frontage of the road and river, the most beautiful in the center of District 2. The traffic is convenient among districts. 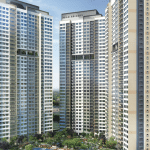 Palm City Project district 2 has a low construction density is one of the projects developed under the “trend of green city – clean – beautiful” with the natural river. Palm City Urban District 2 is invested by Keppel Land investor and built a system of utilities, services synchronous and modern, with the desire to bring residents the most complete life. Palm City Keppel Land is meticulously designed, with open architecture style in harmony with nature, will surely bring you the most peaceful life. Any apartment also has a balcony for sun and wind, and two front open air. Palm City Project in District 2 is a high-end, multi-functional urban area from townhouses, apartments, schools, hospitals, trade, entertainment and entertainment. All built for a Palm City resident community “Humanities – advanced -prosperous”. Successfully sold 100% townhouses, Palm Residence. At the end of September, completed Palm City apartment complex. Early October in preparation for the opening of the sample and open sale. Officially accepted the Palm Heights apartment. Price is from 1200 – 1300 $ m2 (rough allocation), from 1390 to 1470 $ (delivery complete). Successful stage 1 sales have been opened. Phase 2 was sold on 30/10/2016. Quarter 3/2017 is still open house model Palm Heights apartment for customers to visit. Who Invest In Palm Heights?